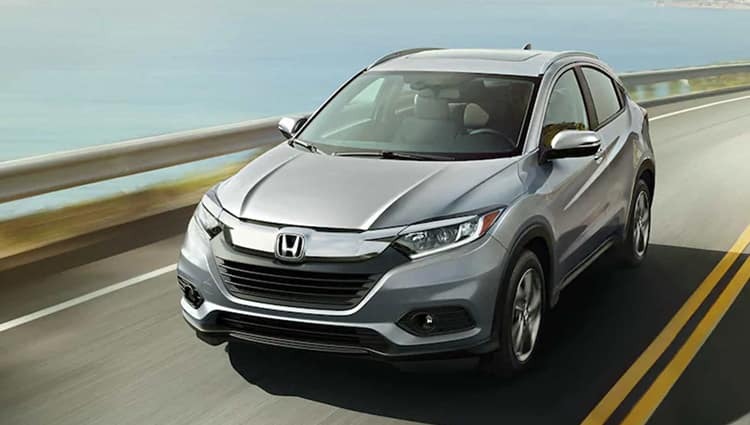 Driving a compact crossover or SUV means that you’ll experience the nimble handling and superior maneuverability of a small sedan blended with the outstanding versatility and space of a larger vehicle. It’s no wonder that compact crossovers and SUVs have exploded in popularity and become a hit with drivers living active lifestyles. From loading up your friends for a night on the town to packing for a weekend getaway — compact crossovers and SUVs offer a city-sized alternative to their larger counterparts. If you’re having trouble deciding which model is best for you, the Germain Motor Company has assembled our top picks in the segment. Hit the streets in style with the impressive Ford EcoSport. 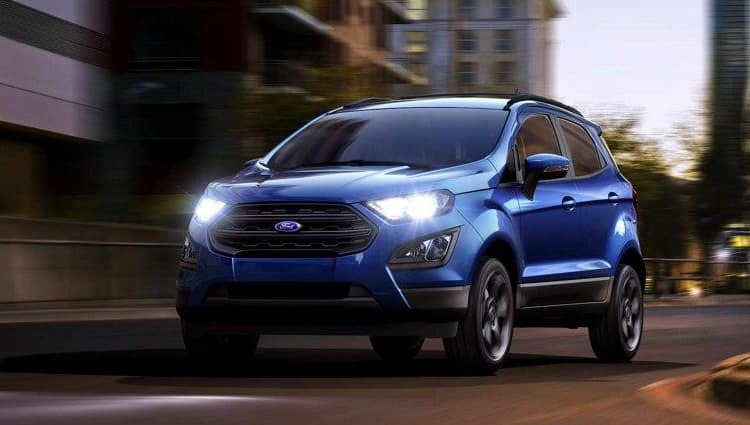 From a standard 1.0L EcoBoost® engine with Auto Start-Stop Technology to the available 2.0L Ti-VCT (GDI) engine — the EcoSport delivers impressive efficiency that makes no compromises in terms of performance. Paired with available Intelligent 4WD, you’ll have superior control and grip in harsh weather conditions for additional peace of mind. EcoSport SES models surround you with premium comfort features including partial leather-trimmed seating surfaces with unique cloth inserts. Backing into a tight parking space is effortless thanks to a standard rear-view camera with guidance lines. Opt for the available Cold Weather Package to receive a windshield wiper de-icer, floor liners, and a heated steering wheel. The Ford EcoSport offers a value-packed solution for urban commuting. Subcompact SUV shoppers searching for eye-catching style, groundbreaking safety equipment, and cutting-edge technology should look no further than the Honda HR-V. Power comes in the form of a 1.8-liter DOHC i-VTEC® 4-cylinder engine which produces 141 horsepower along with 127 lb-ft of torque. Perfect for loading up your gear for the next adventure, the HR-V comes standard with an ingenious 2nd row Magic Seat®, giving you multiple ways to configure the interior to suit your needs. Featuring Apple CarPlay™ and Android Auto™ smartphone integration, the available Display Audio system provides plenty of connectivity features to help you enjoy your favorite multimedia. Optional Honda Sensing® includes a suite of active safety and driver-assistive features which help inspire confidence behind the wheel of the HR-V. Forge new ground with world-class performance engineering, available ALL4 all-wheel drive, innovative technology included with the eye-catching MINI Countryman. Create lasting memories with your crew thanks to a spacious interior which offers generous room for all of your gear. You’ll experience capable performance from available TwinPower Turbo engines, an available Steptronic Sport automatic transmission, and customizable drive mode settings. Helpful tech features available on the Countryman include a touchscreen navigation system, Comfort Access keyless entry, power tailgate, and Apple CarPlay™ smartphone integration. 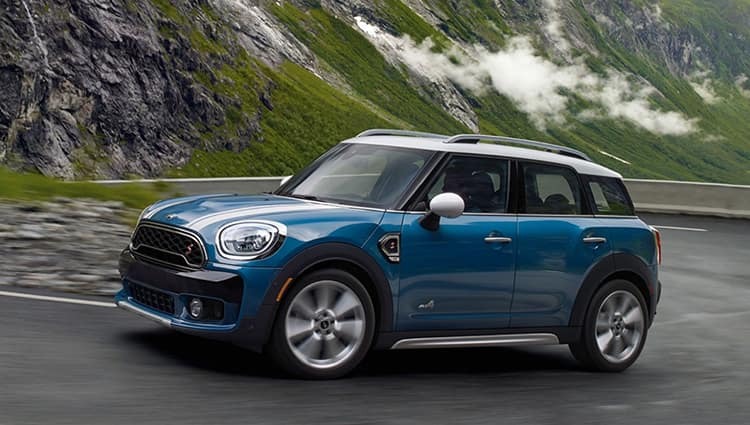 Endless customization options including vibrant exterior colors, contrast roof colors, and stylish aluminum-alloy roof rails allow your MINI Countryman to reflect a personality as unique as your own. 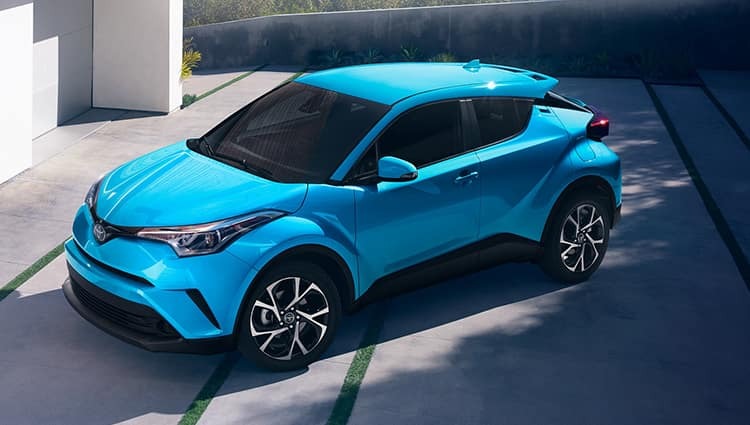 With its uniquely expressive, precision-cut lines — the Toyota C-HR shines from every angle. Distinctive styling, an athletic stance, and nimble handling help prove that the C-HR is far from an ordinary compact crossover. Step inside to discover a driver-focused interior that’s loaded with cutting-edge tech features. Premium amenities available inside the cabin include leather-trimmed seats, a leather-trimmed steering wheel, and a standard satin-plated shift knob. Included as standard on every C-HR, Toyota Safety Sense™ P (TSS-P) is an active safety package designed to give drivers a helping hand when you need it most. For an unmistakable look, choose the available R-Code paint treatment to receive a color-keyed body with a black or white roof and outside mirrors on your Toyota C-HR. Driving a Volkswagen Tiguan means that you’ll enjoy a superlative blend of sophistication and style. Signature design elements found on the exterior include enhanced side sills, a bold front bumper, and available 19 or 20-inch alloy wheels. Rock out to your favorite tunes with the available Fender Premium Audio System with 9 speakers and a 480-watt amp. Available driver-assistive technologies offered on the Tiguan include Pedestrian Monitoring, a Blind Spot Monitor, and an Overhead View Camera. 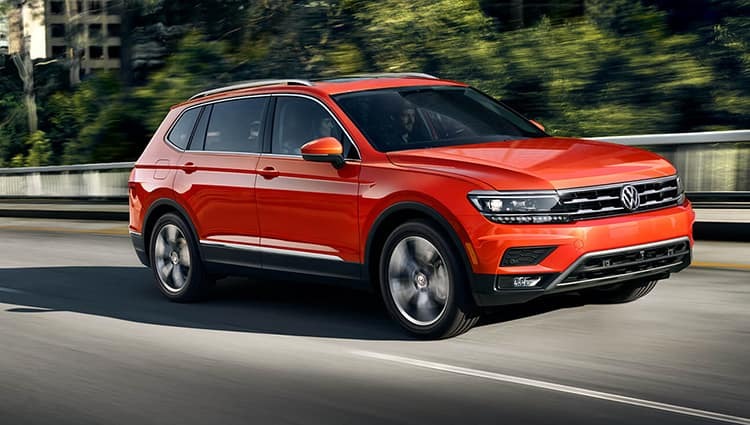 Equipped with a standard 2.0-Liter Turbocharged engine, 8-speed automatic transmission with Tiptronic® and Sport mode, and available 4MOTION® all-wheel drive — the Volkswagen Tiguan has the capability to take your adventures further than ever before.